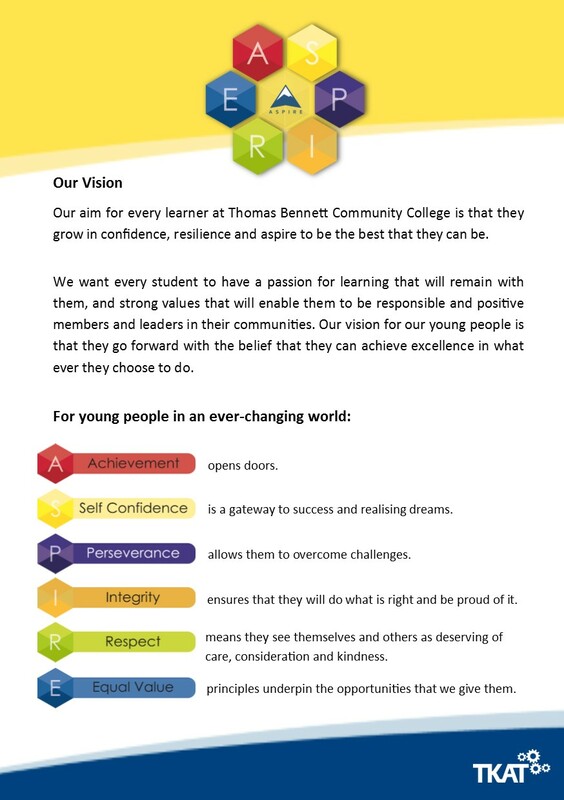 Thomas Bennett Community College is trialing a new rewards system this term. We have developed and implemented a rewards system that is in-line with the college's ASPIRE ethos. Students are able to collect ASPIRE credits for each the ASPIRE letters. Termly rewards will be given to students who collect the most ASPIRE credits and these will include pin bage as shown below. The system will be reviewd in late July and re-launched in Septmber for the new academic year.